The show program features a dozen of competitions between Russian showbiz celebrities and public figures by the rules of the Russian Challenge Promotion Company. 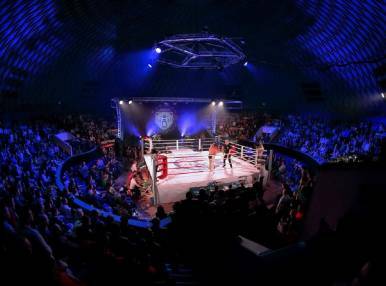 The organizers know all the ins and outs of the martial arts industry, as the upcoming event is their 5th international Thai boxing and kickboxing tournament. Russian Challenge’s sport shows meet international television coverage standards and the atmosphere in the hall corresponds to the global show traditions.